Chimney Rock - Lake Lure - Bat cave. 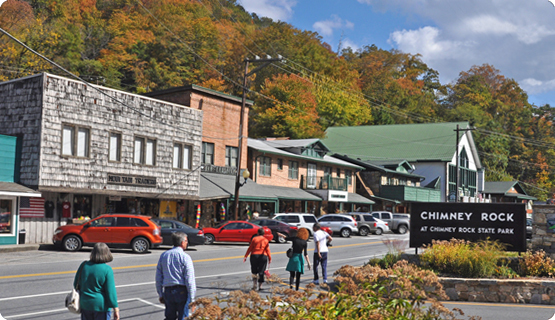 We are Located in the heart of Chimney Rock Village. Hike the state park and enjoy the riverwalk out back. 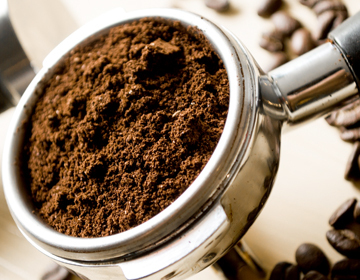 Serving the best fresh roasted coffee, espresso, lattes, blended ice frappes and smoothies. Enjoy delicious apple fritters, muffins, pastries, and cinnamon rolls. We offer an assortment of snacks, protein bars, granola, and cold drinks for all the hikers and climbers. We will gladly assist you with information about the area, and be sure to see the Old Time Photo Saloon when you visit. Only the freshest roasted coffee paired with natural flavors and your chioce of milk, soy, almond milk, or coconut milk. Italian layerd classic served hot. Fresh espresso with half steamed milk and foamed milk on top. Espresso combined with dark or white chocolate and steamed milk. Yum! Fresh espresso roast coffee served by the shot in a small demitasse cup. We also prepare it Cuban style if you like. Espresso vanilla and caramel layerd with milk and drizzle on top. Nice hot or iced. Spiced tea with the exotic flavors of clove, cinnamon, cardamom mixed sweetly with steamed milk. The coffee lovers best friend. Fresh roasted espresso paired neatley with steamed milk, soy, or almond milk. Our signature coffee blend bold enough to get your day started in the morning. 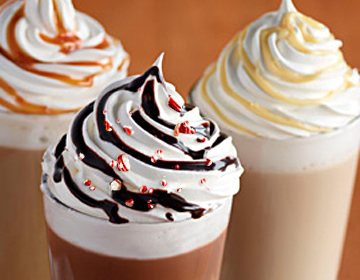 Coffee ice blended, With your favorite Mocha, Caramel, Vanilla, Mint Chocolate, Oreo and more! Real fruit blended. Strawberry, banannas, etc. 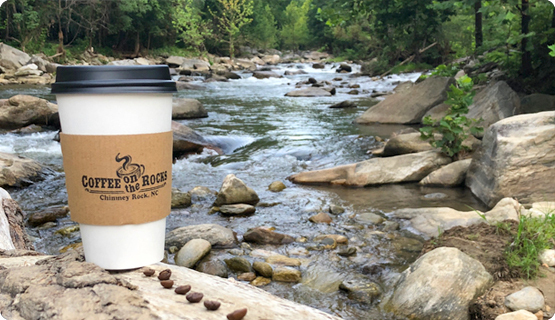 mix and match to make it your own..
Visit the quaint Chimney Rock Vilage, enjoy a stroll along the riverwalk and have your "coffee on the rocks". 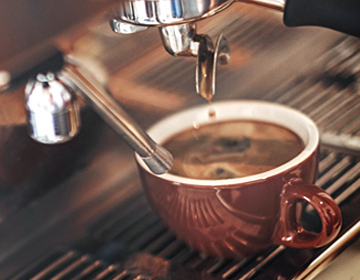 We are committed to serving the best coffee in a warm inviting famly atmosphere. We are from Seattle and we know coffee! This family run place does a great job. And so friendly and informative to visitors. Felt like we had new friends when we left. Katie F. - "Delicious Smoothies"
We stopped in for Coffee on the Rocks after our visit to the park. My husband and I each ordered smoothies, and the barista not only quickly put our order together, but also took the opportunity to get out some toys for our toddler to play with during the visit. We loved this quaint place. 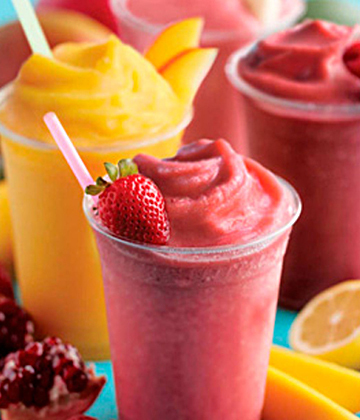 Be sure to visit and have one of those awesome smoothies! 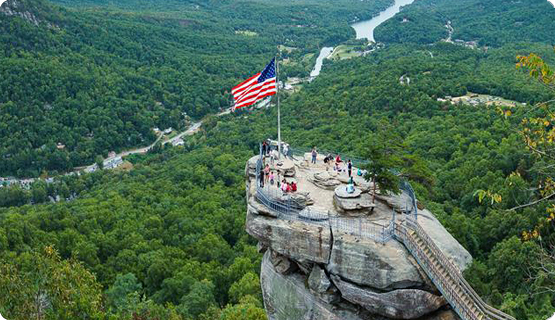 We hope you enjoy the area of Lake Lure and Chimney Rock while visiting beautiful North Carolina. 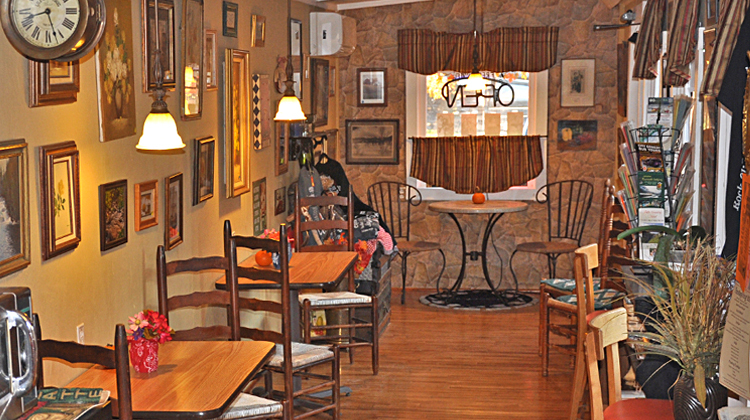 We have many quaint restraunts and gift shopping through the village of Chimney Rock. There is something unique for all ages to enjoy. Take a stroll along the Rocky Broad Riverwalk. Enjoy your coffee in beautiful surroundings and watch the kayakers or folks trout fishing. The views of the mountans and Lake Lure are spectacular all year long. Enjoy individual seasons of spring, summer, winter, and fall. Dress the part as a couple or a group photo with the family. 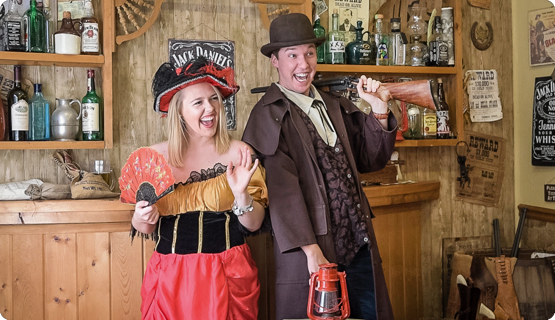 We have costumes that fit over your clothes along with western props. We are dog friendly... If you have your pet, include them in the photo with you. Free Wi-Fi - Pet Friendly, Eco friendly, Recycle coffee grounds for local gardeners and support Lake Lure Flowering Bridge.